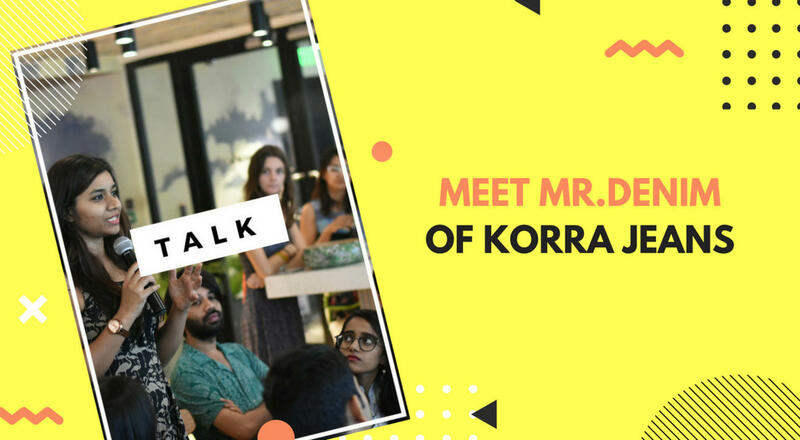 KORRA is a conscious made-to-measure jeans brand, based in New Delhi. The brand stands true to their principals of sustainability throughout sourcing, manufacturing, retailing and communication. We’ll be talking to Shyam Sukhramani, one of the Founders who’s also played an important role building the Dockers and Levi’s brands in India and Abroad for over 17 years! Hence, we also call him Mr.Denim! Fairtrunk is a platform to Discover, Engage & Shop Slow (Sustainable/Ethical) Fashion & Lifestyle products. Fairtrunk Offline is our endeavour to bring Slow Fashion and Lifestyle brands under one roof, create awareness, encourage conversation and deliver experiences for a mindful community! What to expect @Fairtrunk Offline, 6 Oct, Pioneer Hall, Bandra? Good vibes & a Saturday well spent!